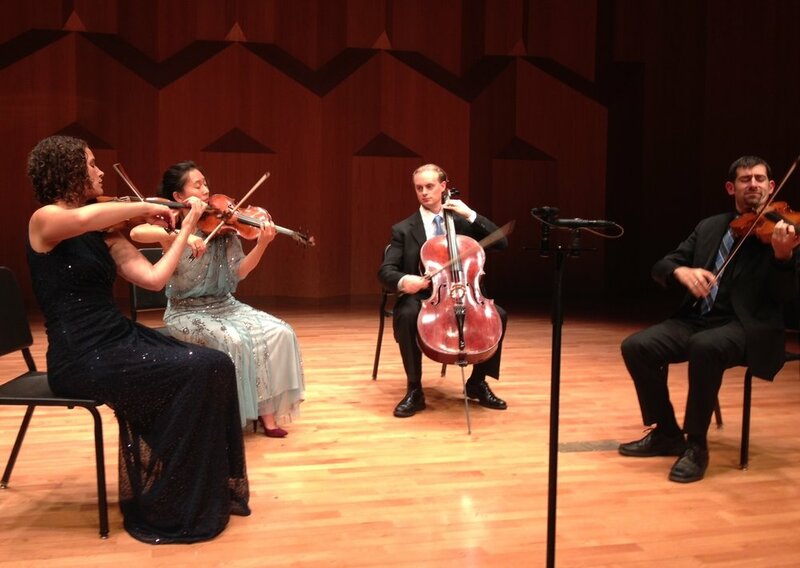 Chiara Quartet performing from memory in Seoul, South Korea. This morning, the Chiara String Quartet, the ensemble that has represented my life in music for all of my professional career, made a momentous announcement concerning our future. After what will have been 18 years of playing together, we have decided to bring our full-time quartet career to a close at the end of the 2017-2018 season. We have made this decision in a spirit of immense gratitude and love for the group, and for one another as individuals. Playing in the Chiara Quartet has been a dream job. Working with this group of incredible, well-matched, fiercely democratic, and amazingly creative musicians brought me so many wonderful experiences and creative highs. I feel so lucky to have been given the opportunity to play with Rebecca, Hyeyung, and Greg, to perform for audiences of all kinds, in every kind of place we could imagine (from the MET museum to bars to soup kitchens), to memorize Bartok quartet cycles and play late Beethoven (for a living! ), to commission and premiere music by some of the most incredible composers alive today, and to teach and coach incredible students through quartet residencies at UNL and Harvard, and in guest residencies around the world. The quartet's run has been a miracle, and I will hold it dear to me for the rest of my life. Why end? Why now, when we are on a real career high? The answer came surprisingly and suddenly to me in April. As a part of our group work together, we had started a planning process for the next phase of our career. We started by working individually on our own personal values and priorities, and then started working to connect them, to see how we could use our own strengths to support one another in growing as individuals and as a group. This process was meaningful and rich and not easy. As a part of the process I had to let go of misunderstandings and grudges that can develop in any long-term relationship, something I found myself resisting with quite a bit of force. Why? What was I gaining by staying stuck? As I delved deeper, I came to realize that I was actually more scared of what would emerge when I let go of these surface concerns. Scared because hidden just under the surface was something I had know for some time but hadn't allowed myself to admit: I am a composer as well as a performer and I am made to create new things, not only to perform them. As soon as I realized this, it was clear that I needed to begin Act II of my life as soon as possible, but I was scared to bring this realization to the group. I didn't know how they would respond, and I felt worried that I was making a mistake, even though I knew deep down that this was the right thing to do. When I finally worked up the courage to share with the group my wish to move on, I was overwhelmed by the support and love that my fellow colleagues showed me. They took a few days to process the news and decide how they wanted to proceed, and I was honored and inspired when the other three brought me back in, and shared with me that they all felt similarly called to move into new personal work, and that they wanted me to continue to be an equal member of the group in how we would create and send off our final year of performing together. I felt gratitude beyond measure for this, and was humbled to discover that my initial impulse, so scary to share, had actually been the impetus for my colleagues to share their own dreams and visions for the future. This was a better, more whole outcome than I could have dared to expect. And so now, I am jumping off the precipice! I am taking a running leap, trusting my newly unfurled wings to carry me, even though I've never done this before. Last year I began recording music for a solo album, STRONG SAD, which I will be releasing next spring. The album will feature newly commissioned viola pieces by Nico Muhly, Paola Prestini, Valgeir Sigur∂sson, Robert Sirota, A.J. McCaffrey and Rodney Lister. Also, it will have two works written by me, When You Lose You Win, and CURRENTly (a collaboration with Kurt Knecht, my partner in the improv duo Mondegreen, a group that we founded nearly five years ago and which was the beginning of my itch to compose). I also finished and premiered a solo viola sonata, called FlutterFingers, at the Greenwood Music Camp (where I teach) this summer, and I have begun work on writing soundtracks for two documentary films. I don't yet know where this new journey will take me. I plan to continue performing, some old music, but more new music than I have been. 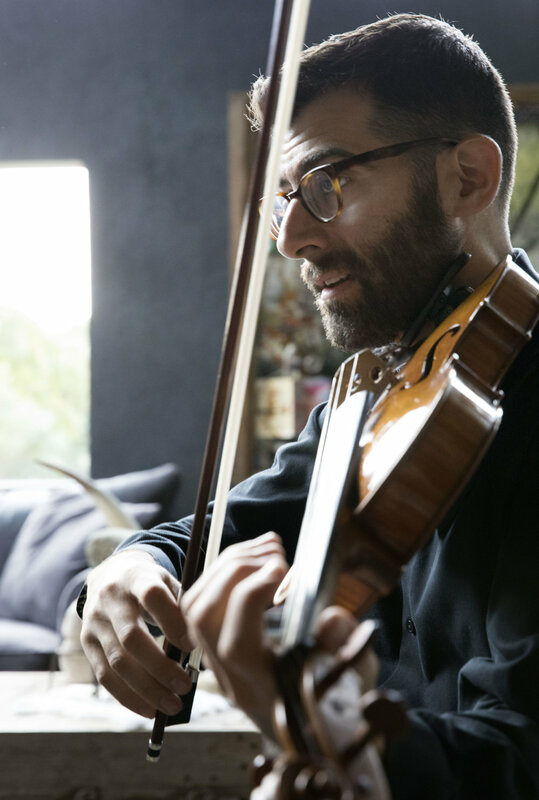 I plan to play more solo recitals and concertos, and collaborate with a wider range of musicians and other artists, as well as working with my quartet colleagues in new and unexpected capacities. I will spend more of my time writing music than I have been able to, and find time and space to keep developing my compositional voice. And I plan to keep teaching violists and chamber musicians, and to share my journey in realtime with my students and those who may be inspired by my story. Whatever brings you to this page, I want to thank you for your interest and support. You are a part of my life too, and I cannot make this change without you! Thank you and keep in touch.